Picture this; you’re standing outside in the heart of downtown Toronto, outside the Artscape Youngplace creative hub with your first clue in hand. Picture this; you’ve helped empower youth and provided opportunities. Now picture this; you’ve helped make a difference. 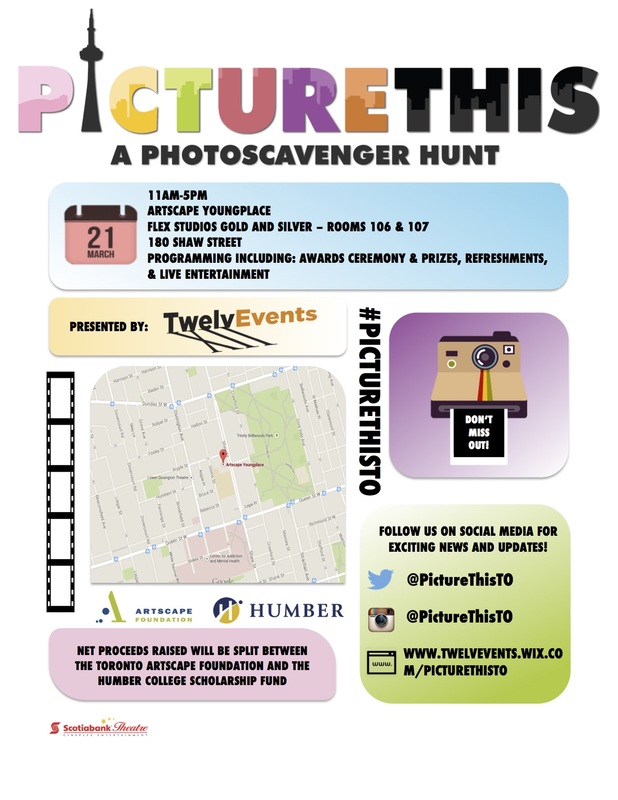 PictureThis is a photo scavenger hunt that will take place in downtown Toronto on Saturday, March 21, 2015. After a day of discovering art in our beloved city, join us for a reception to celebrate your community.